Today’s The New York Times article, “Target’s First Store in Manhattan Took a Decade of Wooing” describes how Target laid the groundwork to open a major new retail outlet in Harlem. According to the article, Target invested a decade in getting to know the community, its leaders and its residents, and its needs and interests. Today’s The New York Times article, “Target’s First Store in Manhattan Took a Decade of Wooing” describes how Target laid the groundwork to open a major new retail outlet in Harlem. According to the article, Target invested a decade in getting to know the community, its leaders and its residents, and its needs and interests. Not only has Target been financially generous in strengthening schools, cultural institutions, and local parks, but the company is also selling locally produced and designed merchandise. 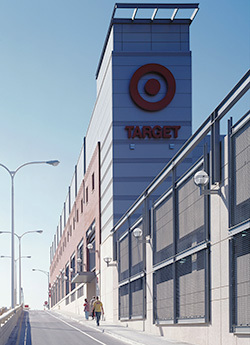 Target has made similar preparations for store openings in Queens and other NYC communities. Target is the perfect model for the case I have made in this blog and elsewhere that companies can benefit themselves and communities by being strategic about philanthropy and community relations. Fundamentally, Target’s approach is true to its corporate purpose of increasing shareholder value. Companies that involve their executives on nonprofit boards through purposeful and thoughtful board matching, and train and prepare their managers for effective board service, are truly maximizing their potential to strengthen communities where they have a presence. This is good for the community, and good for business.